Fintech zeitgeist! Welcome to our new series of brief reports. Every Monday, we might look back at last week; look ahead to this week; share a few thoughts (our own or others); or discuss anything that catches our eye. This week we welcome the views of our editor Tanya Andreasyan. 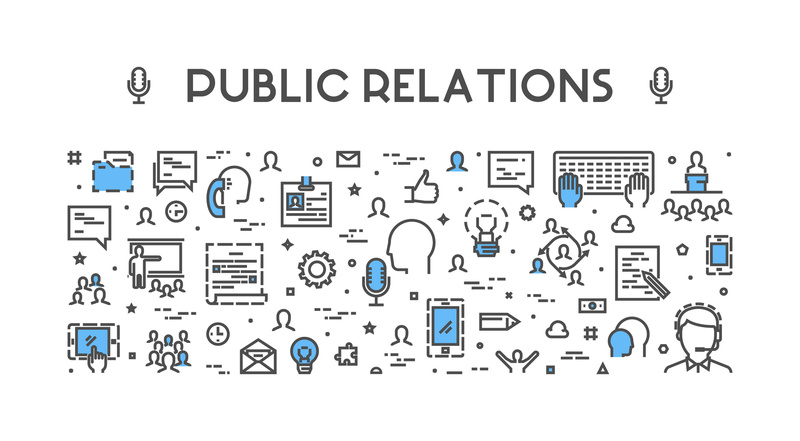 Dear PR, we know you are under pressure from your clients to provide them with exposure across industry publications and you want to make a living. Journalists like working with knowledgeable and friendly PR folk (and we hope the feeling is mutual) – and thus to ensure that we get the maximum from this relationship. And you are welcome to share these with your clients. You want to catch a journalist’s attention, right? Then address them by their name. As a rule, emails that start with “Hi editor”, “Hello there” or a variation of these get binned within seconds. The ones that start with “Hi <first name>” stand no chance at all. Getting the name right is important. Thank you, Captain Obvious, you might say, but you’d be amazed at how many emails I receive addressed to Tom, Tim, Tonya and Andrea. Getting the publication’s name is just as important. “Hi, Tanya, I really enjoyed reading the article about payments on the X website.” Good for you, but I write for the Y website and have no connection whatsoever to the X one. So in the bin your pitch goes straight away. A personalised approach is basic courtesy really, and nowadays does not require a complex or expensive email system set-up. No journalist wants to read a lengthy and convoluted email that doesn’t get to the point until the fifth paragraph (or just rambles on with no point). Actually, nobody wants to read an email like that, regardless of his/her profession (including the PR people themselves). So please, get to the point quickly. Another no-no is a lengthy explanation of the subject to a journalist who specialises in it. Are you implying we don’t know the area we report on? Please do your homework about the media outlet you are contacting. A vegan website will be less than thrilled about your client’s new range of fur coats and leather shoes. A fintech publication does not care about your client’s new cookery show or an exciting range of home appliances. And please, don’t try to “tie in” your client to developments and events that have nothing to do with them. “Hi, in the light of the X event, my client that specialises in Y can comment.” Unless your client caused the X event to happen or was directly involved in it and now would like to speak about it, we don’t want to know. It smacks of desperation. “Company X has been accredited with Very Important Accreditation every year for the past for 20 years. This year it has been accredited again! Would you like to interview CEO?” No. “Companies X and Y have been strategic partners for 30 years. They have now extended their partnership for another ten years. Would you like an interview with CEOs?” No. “Breaking news: company X exhibiting at a conference! Would you like an interview with CEO?” No. “An exciting opportunity to have coffee with company X’s head of sales and marketing, where he can talk about the company’s plans and industry trends!” God no. “Company X is delighted to appoint Mr Y as a new sales manager in the Birmingham office. Would you like an interview with Mr Y about his plans for the company’s growth?” God no. And a few words about embargoes. Never send any appointment announcements under embargo – as it is the most pointless exercise. Firstly, nobody cares about company X recruiting a new sales manager (unless it is the Queen, Elon Musk, David Beckham, Lady Gaga or Donald Trump). Embargo or no embargo, this press release will most likely go straight to the bin. Secondly, all these new hires are listed publicly and happily in their new roles on LinkedIn. Hurray, you’ve got an immediate response from a journalist/editor and they are interested. Oh, wait, but you are on holiday and they get an out-of-office message. And your client is not available for interviews or comments until the following month. That’s bad. Don’t do that. Sadly, you’ve got no response. In 99.9% of the cases, your pitch was not of interest. There is no need to send ten follow-up emails and incessantly call to find out if we’ve got your email. If time permits, we’ll reply with “thanks but no thanks” but considering that the PR industry floods the journalists’ inboxes with pitches, interview offers and press releases on a daily basis, chances are high that we simply cannot respond to everyone. Oh, and don’t call before sending an email asking if you could send an email. I can guarantee you that this will not make us more interested in whatever you are pitching. On the contrary. Just send the email. And if you got it right, you will receive a “yes”. Interested in contributing to our Monday mindset? Get in touch with our editorial team.